Happy Easter everyone. I hope this evening finds everyone recovering from the food coma that accompanies holiday meals. I had the pleasure of spending the day with my parents. Poor hubby had to work...all in a day's work of CO I guess. I then went and had a nice visit with my mother-in-law. I made a card for her using the Butterfly Basics bundle. I have to say, I LOVE LOVE LOVE this set! 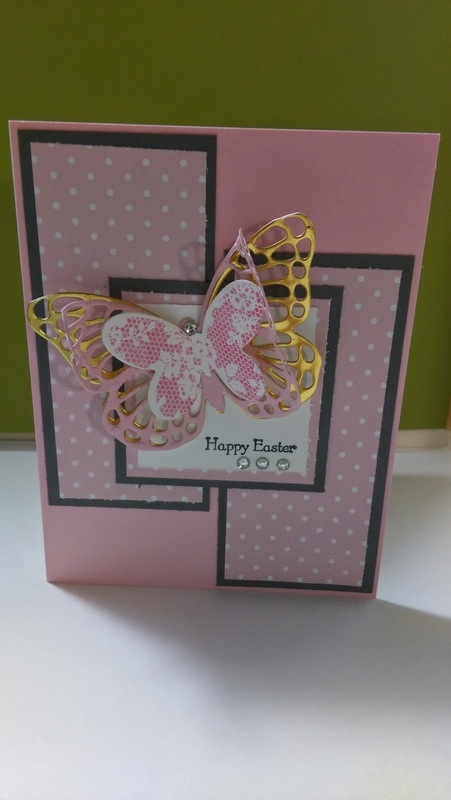 It makes beautiful birthday cards, thinking of you and here I used it to make a beautiful Easter card for my MIL. I hope you enjoy!